As for the second, I think all of us feel the same way. 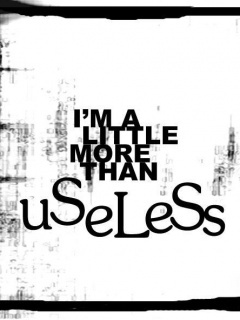 In being useless, i mean. Remember, one man's trash is the next man's treasure. It happen to be the same as us human. We may be useless to certain people but to some other, we may not. regardless that not an excuses to be a loser forever..